The latest and greatest technologies bring the promise of a greater, deeper, richer brand connection and the opportunity for rewarding experiences and engagement. For event and tradeshow marketers charged with driving the brand experience, technology is alive and well, kicking up a storm across events and the tradeshow landscape. 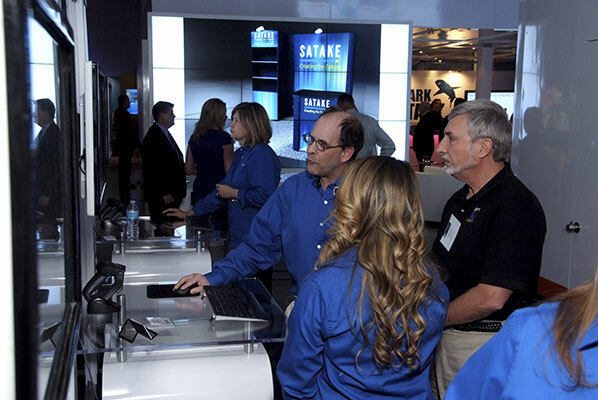 What better way to kick off tradeshow season than to get immersed in hands-on tech experiences? Enter 2020 Exhibits High Tech High Touch Interactive Multimedia Expo. Over 100 of Houston’s best and brightest event and tradeshow marketers from 55 companies joined 2020 Exhibits at their 15,000 square-foot interactive technology and exhibit design showroom in Houston to test-drive the latest and greatest event and tradeshow technologies. From touch screen technologies to live social feeds, video, 3D animation, custom gaming, micro-sites, event apps and the latest in cloud-based project, event and lead retrieval technology, visitors were totally immersed going well beyond the more traditional points of interaction. 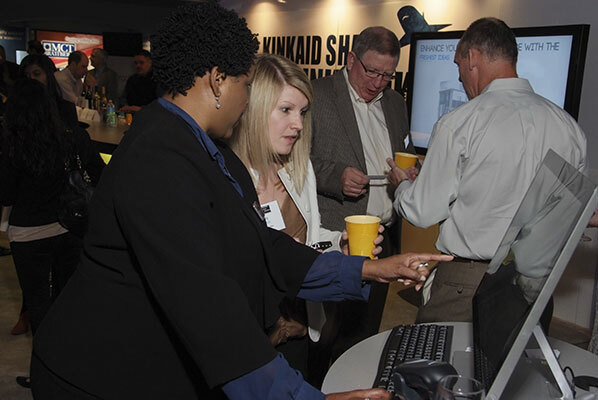 In a comfortable, open house environment, visitors were able to design and drive their personal experience, stopping to learn more about each technology and engagement solution at their own pace—much like walking a tradeshow floor. If increased lead strategy, capture and CRM system integration was the focus, Media Suite provided an ideal solution. For those interested in tracking and managing their events—collaborating 24/7, anytime from anywhere, they dove deep and could see the many benefits of interactive, real-time event analytics. 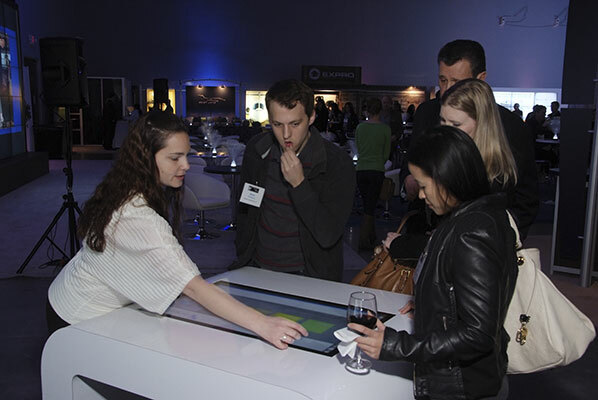 Visitors enjoyed the Interactive touch media tables which can be used for sharing content, demos and, quite simply as an added "cool" factor, either directly on the table or as seen with the images directed onto the corresponding 90" screen. As a global leader in the design and production of exhibits, events and environments, the team at 2020 Exhibits knows that attention grabbing, awe-inspiring events and experiences aren’t limited to the trade show floor. From compelling, inspiring and brand-infused exhibits, events and environments, to powerful interactive multimedia, and beyond—2020 Exhibits delivers the total high-tech high touch experience for brands worldwide.